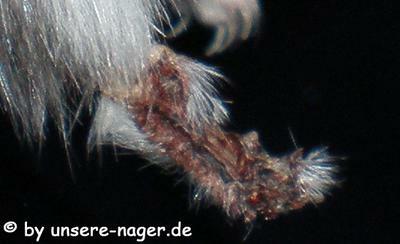 a leg-injury caused by a hamsterball looks like this. PAINFUL! At first, I am not a native englishspeaker, but I think I can write what i thought when i read those "informations"
I really do not want to be mean or something like this but alot from your information about Hamster Maintenance and Cages are wrong and I would change it immediately to save a thousand innocent hamsters life! "Hamsters are energetic and active creatures that are natural burrowers" That's totally right. So why do you recommend this awful tiny cages? Hamsters are indeed very energetic and they burrow alot! In your recommended cages the cuties can not run, can not burrow, can not live a good and healthy life! Syrian hamsters need a cage from at least 40x20 inch or 100x 50 centimeter so that they can run and use there power, as they would in their natural habitat! Also there should be the possibility to give them a very deep bedding from 11 inch or 30 centimeters which is obviously not possible in your cages. Dwarf Hamsters should have a cage in the same size or bigger because they are much more active and energetic! PLAYPEN BUT DO NEVER EVER BUY THOSE TERRIBLE HAMSTERBALLS! THE ANIMALS MAY CLIMB IN THERE BECAUSE THEY NATURALLY EXPLORE EVERY "CAVE" THEY FIND BUT WHEN YOU CLOSE THE BALL THEY HAVE PANIC AND ONLY TRY TO ESCAPE FROM THEIR TINY TINY PRISON! THAT IS THE ONLY REASON FOR A HAMSTER TO WALK IN A BALL! THE VENTILATION SYSTEM IS TOO SMALL, THEY CAN GET STUCK IN IT AND BRUTALLY RIP OF THEIR TINY PAWS AND THEY CAN BECOME A SHOCK AND DIE FROM IT! NEVER PUT YOUR HAMSTER IN A BALL! NEVER! REALLY NEVER! The cages with hamster tubes are also not recommended, because there aren't really any tubes in a size for Syrian hamsters. 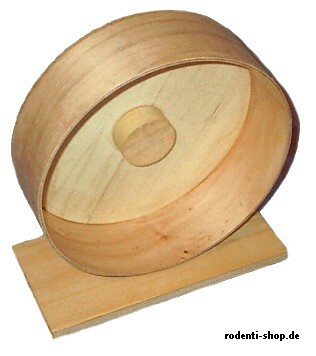 Holes for them need to have a diameter of 3 inches or 8 centimeters. Otherwise they can get stuck if they carry food in their cheeks! A second point is, that those tubes are made from plastic and that is never a good choice!A third point is obviously, that hamster can burrow their own tunnels in an appropriate large cage with a deep bedding! 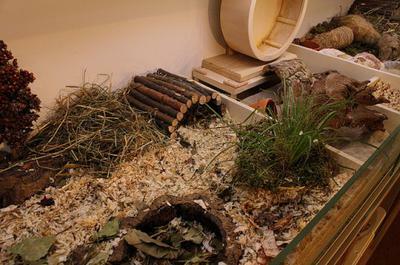 Then you should NOT change the complete bedding once a week except your hamster is ill or the bedding is extremely "dirty?!". Hamsters are extremely shortsighted and they need their smell for orientation! If you clean your hamsters cage once a week it is extremely stressful for him or her to find a way through it because they do not have any orientation! 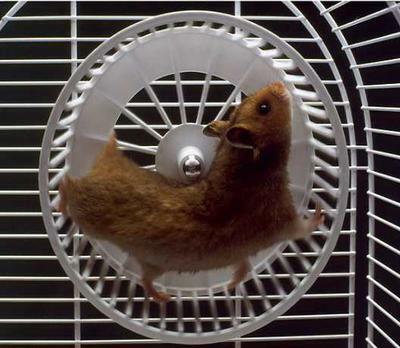 It is very easy and cheap to build an appropriate Hamster cage on your own. My own Do It Yourself Hamstercage costs 11 Pound / 20$ and my cute Heather (Thats my hamsters name) is very happy and life, a natural and healthy life! She is nearly 5 yrs old and still fit and vital! PLEASE CHANGE YOUR WRONG INFORMATION SO THAT FUTURE-HAMSTER-OWNERS WILL NOT FOLLOW THE WRONG GUIDELINE! A lot of what was said on here is completely untrue. Thank you for taking the time to provide these thoughtful suggestions. We are providing your recommendations so that readers can take them into consideration when deciding the best way to care for their hamster. We completely agree that it is always better to give a hamster the most room possible. Join in and write your own page! It's easy to do. How? Simply click here to return to Hamster Questions.